Today I turn 40. So far so good. I don’t seem to be any different. 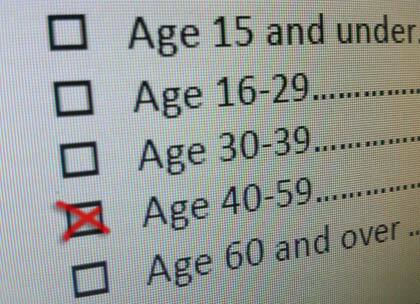 The main difference will probably be the age demographic I have to tick on the next survey I complete. Gone are the days of 35-39 or 30-39. I’ve spent the majority of my life living with digital. Towards the end of the 70s I saw the consumer electronics revolution start to happen in our home. Digital clocks started to appear. New TV’s were almost always colour. In 1980, as a 7 year old, I made the informed choice on behalf of my family that we should get a Betamax video recorder. In 1981 something life-changing happened. One of my best friends at the time, Peter Johnson, got a ZX81. 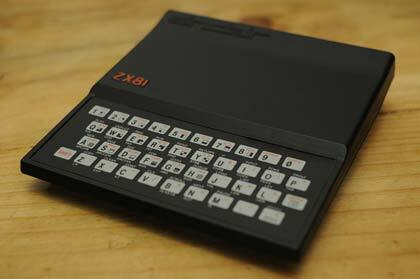 Sinclair ZX81. Photo by Steve Liley. This tiny plastic thing was amazing. It wasn’t a room filled with cabinets plastered with flashing lights and buttons like we saw in films. This was a magical little device that sat on a table, could be connected up to a TV, and could be told what to do…By us. We used to sit together for hours and type in programs from the pages of computer magazines. Only to find they didn’t work when we ran them – being forced to go through the code and hunt down the typos we’d made. In some cases, it wasn’t us that made the typo, it was the magazine. Forcing us to effectively fork the code and work out what changes we needed to make to get things working. Sometimes we manged it, sometimes it was a task beyond us. I still remember the buzz of playing an ASCII car game we’d typed in. Mind-blowingly simple, not even as good as the Atari console games we had within arms reach – but this felt like it was ours. We were part of making it. Without realising it, the home computer was gamifying our lives. In October 1982 I was privileged enough to be part of another purchasing decision in our household. We got an Acorn BBC Model B – an early Christmas present we were told. I was 9 and a half. 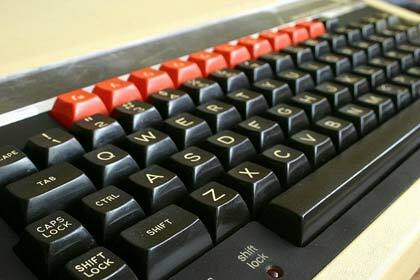 Acorn BBC Model B. Photo by Barney Livingston. There was a computer, cassette recorder, a welcome tape, a few cables and a manual. A BASIC manual. It was an A-Z of BASIC commands. Given that we had pretty much no games, just a few demo programs on the welcome cassette. I set to work typing in lines of code from the examples in the manual. Jumping backwards and forwards through the pages to find out what the other commands in the examples did and how they worked. I taught myself the logic of computers. I learnt BASIC and importantly that these machines did what we programmed them to do – and they only did it as well as we had instructed them to. I also started to pick develop an intuitive understanding of usability and human-computer interaction. Somethings were plain bloody awkward, other things pretty straight forward. In many ways we’ve lost that raw enthusiasm to experiment with technology. Hopefully projects like the Raspberry Pi will give a new generation of 9 year-olds to be curious and creative in a way similar to that I experienced. Like most of us that owned an Acorn computer in the early 80s, I vanished for a few years around 1984 playing Elite. I’m still amazed by that game. That it could be produced on an 8-bit machine with a 4Mhz processor and 32kB of RAM. It had 9 galaxies to travel and thousands of systems! Mind blown. June 1986 saw me buy a modem. I’d been working part-time and saving up for over a year. A Pace Nightingale. Being able to ring up and connect to other systems was just as big a buzz as playing that early car game on the ZX81. Or rather, it wasn’t connecting to another system that was the most fun. It was connecting to other people. Chatting and messaging. This was a world-wide community; not just the kids from my school. We probably weren’t so many more than about 10,000 people in the UK online back in 1986 – but it felt like the entire planet was connected. Now we’re more than 2.5 billion who are online. 87% of the world has a mobile phone. E-commerce has broken the 1 trillion barrier. I love digital. I still get that excited feeling in my stomach when I get something to work; when I produce digital things that deliver. In Episode 34 of UX Podcast, Per and I talked to a student of interactive communication at a collage here in Stockholm. He described that same excited feeling that I recognise and remember. My advice to him was – don’t let it go. Keep on being excited about digital. Despite, at 40, having lived a digital life, we’re still relatively close to the beginning of this journey. The decades ahead are going to be more revolutionary and exciting. I’m honoured to have been part of the journey so far, and i’m really looking forward to the digital decades ahead. Happy birthday to me! James Royal-Lawson+ is a digital strategist, UX-er and web manager based in Stockholm Sweden.